I'm a life-long resident of Winona and graduated from Winona State University with a Paralegal Degree. 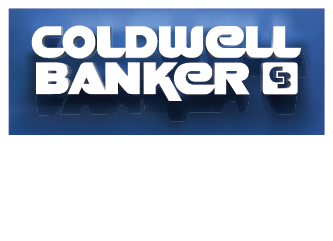 I joined Coldwell Banker River Valley, Realtors in 2015 and am licensed in both Minnesota and Wisconsin. I became a Realtor because I enjoyed helping people and have a passion for real estate. I believe that home ownership is one of the most wonderful things to experience in life. I work diligently on my clients' behalf and delight in assisting them navigate the exciting journey. I have never met a realtor who's so in-touch with her job. So devoted to getting you what you want. We were so very impressed with Andrea and her incredible work ethic. We are so happy with our new home and still in disbelief that she found it. So thank you Andrea. You could not have done a better job. In addition to selling real estate I renovate houses and in my free time I enjoy refurbishing furniture, decorating, outdoor activities and being a spectator at my kids' sports and activities. My husband Mike is a firefighter/paramedic for the City of Winona, and together we have 3 amazing children, Caitlin, Isaac and Owen. I serve on the board for Goodview Sandlot Baseball and volunteer throughout the community with a variety of organizations. I am a proud affiliated agent with Homes for Heroes! When you work with me, you are eligible to receive Hero Rewards in the form of a check. Andrea was very helpful with ideas and helped with meeting handyman and other service repair people because we were out of town owners. She made sure heat was set properly and that the snow as cleared when needed. Andrea went above and beyond to get our house sold. Andrea is an angel! So helpful, went above and beyond expectations. She was there to help me even through the busy holiday season. Informative, prompt, friendly. Everything went great!! Andrea was an amazing realtor! She was one of few that spoke to me rather than my parents. Our realtor was great, helpful, and available with we needed her. She added her own personal touches and helped above and beyond what I think is normal. Found a dream property for us and helped sell ours ASAP! It was a pleasure to work with Andrea! She was always available and willing to help get our questions answered. Can't praise her enough. She went over and above to make our transition seamless as possible. Andrea sold our house before it was ever listed. She did a great job! Very happy with fast sale! She was AMAZING!! Super helpful when dealing with difficult sellers.